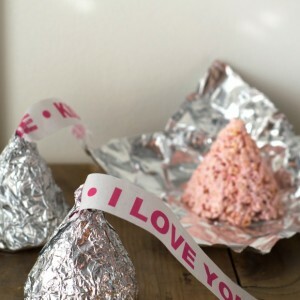 Last week, Christy from Beach Brights posted a cute ice cream cone Valentine idea that she borrowed from La*T*Da . Their ice cream cones were sugar cones…which Target didn’t carry…and had dollar store cotton candy…which I also couldn’t find. Drats! No worries though. I’m a creative woman, and I was determined to make this idea work for me without running all over town looking for supplies. I decided to make meringue cookies (which are gluten free which means my youngest can eat this part) for the tops of my cones. Here’s the recipe for you…because I love you. Below is what your mixture should look like after you beat the dickens out of it. Next, gently fold in all the pretty M&M’s. Yum. Blob the mixture in an “ice cream” mound on your greased cookie sheet and sprinkle with nonpareils and sparkly sugar. After they are done baking, they will look like this. The cracks are normal so don’t panic. 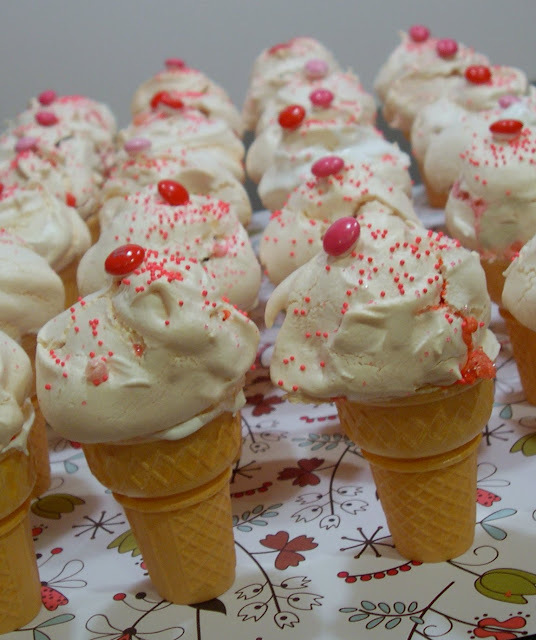 And because these cookies aren’t quite enough to send the kiddos into a full-blown sugar coma, fill your cake cones with one and a half strawberry marshmallows. If I had the time, I would have baked chocolate cake inside the cones (instructions right on the Keebler cone package) or even filled the cones with chocolate mousse. But I was getting tired, so marshmallows it was! Next, make up some Royal Icing. It sounds fancy and intimidating. It’s not. Simply beat together 1 egg white, 1 t lemon juice and slowly add 1 1/2 C powdered sugar. Blend it on low speed until it’s smooth and creamy. Place some sloppily on the top of the cone. Don’t try to be perfect here. It’s not necessary. In fact if it drips a bit down the cone, it will look like melty ice cream once dried. How cool is that? Place the meringues on top of the icing and allow them to dry. Top with an M&M “glued” on with some icing for extra cuteness. Oh my word, aren’t these cute??? I love the way they turned out and I am uber proud of my idea! To make them into Valentine’s, I bought some treat bags at Walmart. And because no project from my son would be complete without a dinosaur, I found some adorable Dino Valentine’s to complete the look. Here they are ready to go! Oh Henry, you lucky, lucky boy. You don’t know what is about to hit ya! And here is one for ME! 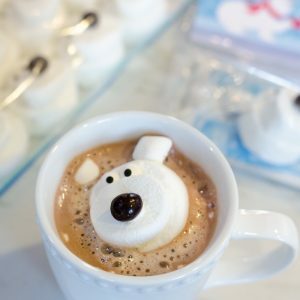 If you make these cuties, please link back to me and let me know that you made them! Happy Valentine’s Day everyone! Stay warm. I still love it Beth! Adorable! Thanks so much for linking up to my party!!! These are more than adorable. I will feature them tomorrow at somedaycrafts.blogspot.com. I wish I would have seen this post earlier! Those are darling! What a fun idea! I feel myself becoming a diabetic just reading all the yummy blogs! Beth, You are so creative. I love this idea. I just made marshmallows with the kids yesterday- using the epicurious recipe you posted a few weeks ago. They are delicious. For valentines day the kids were told to bring in a special snack so we cut out heart shaped and rolled them in red sprinkles. The kids were so excited to show them off today! Those are so adorable! I love stopping by. I am praying that your weather turns into sunshine and the snow goes away. Oh, wow. That is sooooo cute. I'm tempted, I'm really tempted to do this. I'm also totally relieved that my son's school won't let us bring treats for everyone. 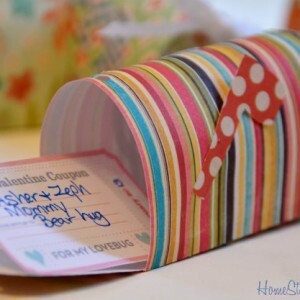 One simple Valentine – that's it. But I wouldn't mind making that just for Christian. If only I could find cones that weren't full of hydrogenated fats. Then it would be perfect. Super, super cute. 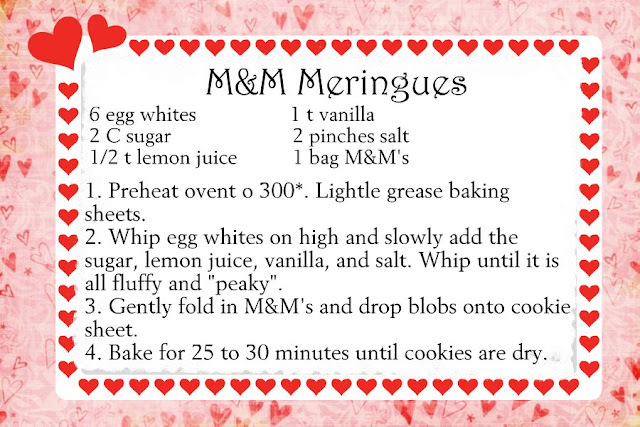 And merengues are sounding yummy! I never thought to mix anything into them. You're amazing! okay…i think you are going to get the MOMMY OF THE YEAR AWARD for this one! these are TO COOL FOR SCHOOL! they need to be in a magazine. A.dor.able!!! Yours sound better than the original. Happy Valentine's Day, indeed. Thank you for reminding me that you are SUCH a better mom than I am! Those turned out so stinkin' cute! Great job! i want one right now! 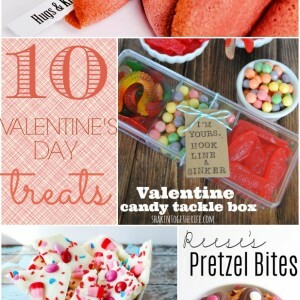 absolutely hands-down the cutest valentine treat. great job! These are PRECIOUS! I have just sent my husband to the grocery store with the recipe in hand! I cannot wait to make these! I am pretty sure I will get the award at my girl's preschool for BEST MOM EVER!!! Thanks for the WONDERFUL idea! I will link up after they are complete! Cute idea! Your kids are lucky to have such a great mom. My daughter LOVES these cookies. She makes them all the time. I can't wait to show her this post. I know she will be making these cones for all of her friends. Beth, you are so darn creative! You are always impressing me! I love this idea. It's so unique and totally cute! Will you please adopt me? Puleeeeeeeez! I know I'm 52 and you may think that a negative, BUT on the plus side, I'm tidy, organized and I make my bed without someone having to tell me. They are too cute, Beth! I am so impressed that you made your own variation on these! The only problem is I would probably eat the meringue and the icing right out of the mixing bowls. ADORABLE!! and I love that they have dinosaurs! and I love the tag that you put with it…and I love that Asher signed his name all cute…because your kids can't help but being the cutest. YUMMY! That is the cutest! Oh, I need to get busy and make some of these yummy and very creative ideas that I've been seeing today. Omgoodness those look good! !~ How many did you eat in the process?? Too ka-ute!!! And so Martha Stewart-y too! Love it! Can they even go to school in all that snow? Ours closed down for 3+ days last week when we got it. They look DELICIOUS! Great idea – also for a girl's birthday party… I might just try to recreate these. Yummy. This is really cute. I wish is could bake or cook for that matter. Actually, while I am wishing…I wish you would move to TN and be my neighbor. I promise not to steal your trash can! Keep taking it to a new level…I love it!